The artifacts and aircraft exhibits are the heart and soul of the National Museum of the US Air Force, but the museum offers so many other exciting attractions.. The Museum lobby is where you will find our Giant Screen Digital Theatre. Our renovated theatre features an 80 foot wide screen with clear bright images in either 2D or 3D from our 4K Barco projectors. Click here for movies and showtimes. Try our motion-based Virtual Reality space adventure or Fly in our Interactive Flight Simulators or sit back in our Movie Ride and experience the thrill of being a part of the action! Click here for more information. Sponsored by Casano's The Pizza King, check out your favorite blockbusters on an eighty foot screen! Only $5 per person. Click here for more information! History comes alive at our Living History Film Series events. Join us for a movie and guest speaker at the Air Force Museum Theatre. 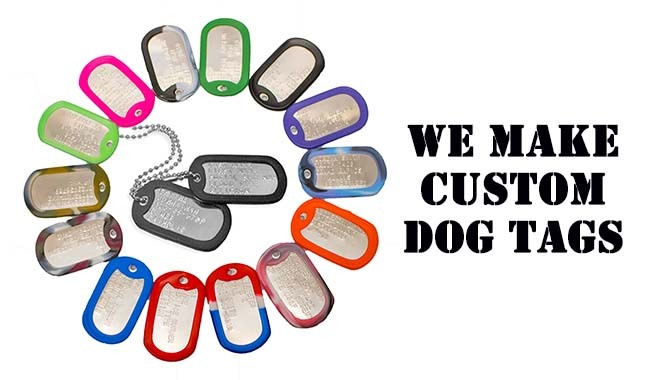 Remember to get your personalized dog tags, available at the theatre or simulator ticket booths. Place your order, tour while they are being made especially for you and pick them up before you leave. Located in the nation's oldest and largest military aviation museum, the Air Force Museum Theatre is a unique but convenient venue for hosting a variety of events. Imagine what the right environment can do for your event. Click here for more information.